Were you shocked to hear your three-year-old ask for a tablet after preschool today? It’s actually pretty common. Since the release of the first iPad in 2010, tablets have become more than just an office tool for adults. Most kids, including my own, love them and are starting to use them at even younger ages. The number of applications for children, both educational and otherwise, has grown immensely, and they’ve become pretty sophisticated (source). If you’re thinking about purchasing a tablet for your kids, you may have a few questions. How much is too much screen time? What apps are available? We’ll address all of those questions and more. Plus, we’ll offer some recommendations for the best tablets for kids. Use the links above to check the latest prices or read our in-depth tablet for kids reviews below. What Apps Should I Download? The debate over screen time ranks among the most heated of parent controversies — right up there with “breast vs. bottle” and “cloth vs. disposable diapers.” I’ve met countless moms who proudly proclaim that they “don’t do screen time” in their house. But what does the science say? These days, computer skills dictate the kind of jobs we can get, the way we run our households, and even the way we socialize. 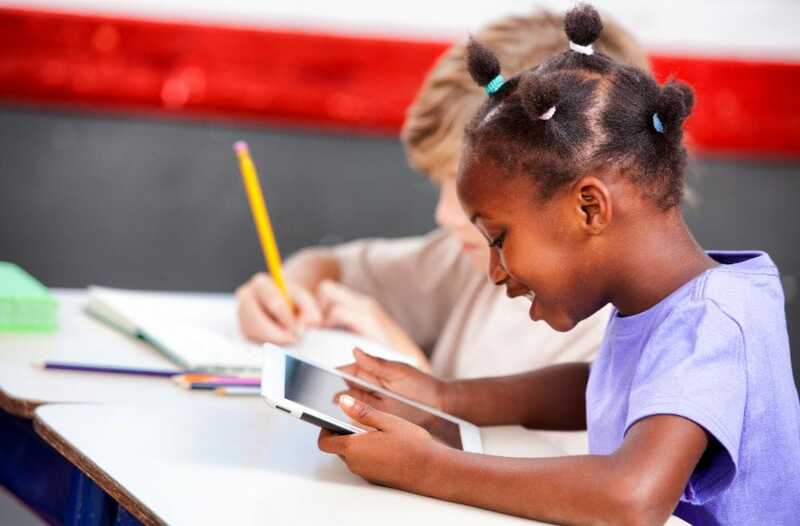 If used correctly, tablets can be a learning tool that prepares children for the big, diverse world we live in. On the other hand, many parents worry screens are keeping their kids from socializing and using their imagination. Others are concerned that tablets present an unrealistic world to our kids. If they offer experiences that are too stimulating and exciting — how will they learn to cope with real-life boredom? According to the American Academy of Pediatrics, children younger than two should have minimal exposure to media, other than video chatting (source). Children between the ages of three and five can benefit from controlled access to games and videos. If you’re interested in determining what’s appropriate for your child, you may want to check out this media planning tool for your family (source). The truth is, we still don’t know a lot about how tablet time will affect the brains of this generation. Tablets are relatively new — there just hasn’t been enough time to monitor long-term impacts. As this generation grows older, science will be able to tell us more. We do know one thing, however. Nothing is better for young children than real-life imaginative play. It keeps them active and allows them to practice physical and social skills. The more individual, peer-to-peer, and parent-supervised play a child can get, the better. In 2016, the United States Department of Education and the United States Department of Health and Human Services co-authored a report on technology. The report provides guidelines and best practices on the use of educational technology for children. According to the report, parents and teachers should encourage children to use technology in an active, rather than passive, way (source). Passive use of technology is when kids consume content but do not interact with it in any way. By contrast, active use of technology requires critical thinking, decision-making, and response. Are you wondering if your child’s use of tablets is active or passive? You might want to check if you’re following the guidelines mentioned in the report. Technology is being used as a tool for learning. Technology is being used to strengthen the relationships in your family. Adults and/or peers are co-viewing the technology with your child. In other words, using a tablet can be a great way to teach your kids something new. It can be a conversation starter and a tool for adult-child play. Using it as a tool to calm them at a restaurant, on the other hand, is probably not the most effective use. There are many different kinds of tablets out there. Some brands are specifically aimed at younger children, like Kurio, VTech or LeapFrog. Others are designed to encourage specific passions, like drawing, math, or reading. Others, such as Apple and Samsung, are designed for adults but have some parental control options for when children are using them. Regardless of which kind you choose, here are a few features that you may want to consider before purchasing. As every mom knows, toys get dropped, spilled on, and stepped on. Tablets are no different. My little one went through two tablets before I finally realized the cover we were using just wasn’t gonna cut it. For younger children, some tablets come in a really thick, plastic casing that makes them virtually indestructible. For older children who are more careful — or should be — you can buy thicker covers that will protect a more delicate tablet. Either way, you will want to have something for protection. Tablets can be a significant financial investment, so it’s better to be safe than sorry. Different tablets have different battery lives. Most of them will show an estimated maximum battery life on the box. A long life will let your tablet last for a car trip and won’t need to be constantly connected to the wall at home. Once you have a tablet, there are things you can do to prolong battery life. Here are a few suggestions. Turn the screen brightness level down: Most of the time it doesn’t need to be at the highest contrast for your child to see it properly. This is a big battery killer that can be easily managed. Turn off connections: If you don’t need the tablet to be connected to Bluetooth or Wi-Fi, it can help your battery to turn those off. Avoid live widgets: If you don’t mind losing the regular weather updates for your area, your battery will thank you for uninstalling them. Because live widgets update in real time, they’re constantly sucking energy from your tablet. Forgoing the convenience of these widgets can help save power. Take care of your battery: Technology has evolved since the days when you needed to run your battery down every time you used it. However, it’s still a good idea to fully discharge it every once in a while. 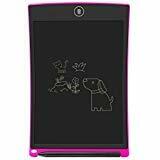 Tablets designed for kids and those designed for adults differ in ways beyond the exterior cover. They also offer different ranges of applications and connectivity. Office apps: These tools can help your child do their math or writing homework. The earlier they start learning spreadsheet and document software, the easier it will be later on. Keyboard: If your kids are going to be using the tablet for homework or report research, a keyboard can make it more user-friendly. Parental controls: Adult tablets can fully connect to web browsers, email, and streaming services. You may want to set a few controls up to ensure they don’t come across any content you feel they aren’t ready for. Storage isn’t something most people think about when it comes to tablets. However, if you’re going to be using it to store videos or take pictures, consider buying more gigabytes or getting an extra memory card. Before you buy a tablet, check the specs to see how much storage it has. If you’re going to be taking pictures and video or downloading a lot of apps, you should look at having at least 16 gigabytes of storage. If a tablet is Bluetooth enabled, it will allow your children to use a host of wireless devices with it. These devices can help the tablet adapt to their lifestyles as your children get older. Bluetooth headphones, for example, will allow your children to listen to music on the plane or in the car. This can also help you avoid fights over who gets to choose the next song. A Bluetooth keyboard will allow your child to begin typing papers and homework assignments. As documents get longer, the touchpad will become more cumbersome. Now you’ve decided to buy a tablet for your kids, check out our list of recommendations below. Whether you have a toddler or an older child, there’ll be a great option out there for all. As the market for kids’ tablets continues to grow, new brands and editions are popping up all the time. Battery life is getting longer and image quality is improving. New models can be costly, but if you choose correctly, you can get more for your money. As the original tablet, the Apple iPad will always have a leg up on its competition. As with any Apple product, the interface is really intuitive — even for young kids. With this tablet, they’ll have independent access to a variety of apps, streaming services, and music options. The tablet connects to Wi-Fi, but it can also connect to cellular data if you’d like more opportunities for use. This is especially great for older kids who have research projects and, nowadays, homework portals on the web. For younger kids, the tablet is compatible with the Apple pen, so they can practice drawing or writing letters. If you’re concerned about the amount of time they spend on the tablet, the fingerprint ID system allows you to control when they start tablet time. Comes with 32GB or 128GB storage options. Two speakers for better audio. High-resolution imagery for FaceTime with grandma and grandpa. No kid-friendly carrying case included. Does your child love to read? If so, that’s an interest you should constantly be encouraging — reading stimulates creativity and a strong vocabulary. Tablets specifically designed for reading can stay charged way longer than a typical tablet. It will also keep you from lugging a bunch of books around on vacation. The Amazon Kindle is a product that’s been around for a while and continues to get better and better. While you can certainly download the Kindle app to a traditional tablet, there are benefits to getting your child a tablet for reading. 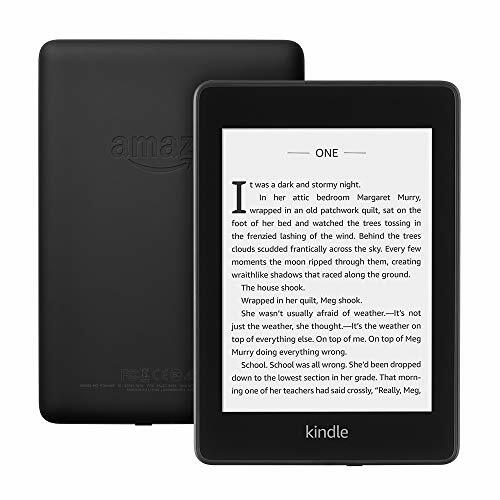 This Kindle is smaller than most tablets — only six inches by four inches. This makes it easy for kids to hold for longer periods of time. 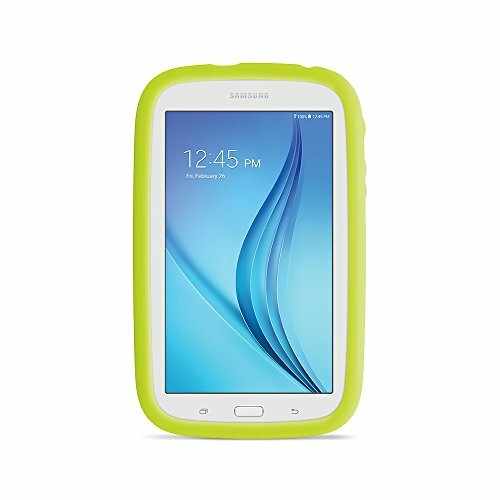 Unlike traditional tablets, it’s designed to fight the sun’s glare, making it possible for your child to read at the beach or the park. It’s Bluetooth enabled, and if your child has a pair of wireless headphones, they can listen to books as well as read them. The latest version also has a higher pixel count, making the screen easier on the eyes. A single charge can last up to six weeks. Tiny kids have tiny hands — sometimes, the bigger tablets are just too much for them to handle. A smaller tablet will make them feel more in control when using the tablet. It also means a smaller screen, which can help them to put activities in better perspective. The iPad Mini comes with most of the awesome features of the traditional iPad but in a smaller size. With a 7-inch screen, it is much easier for younger kids to handle. The tablet comes with a fingerprint sensor, so you can control who’s using the tablet and when. It has two cameras, one for FaceTime and one for taking pictures and videos. With 128GB of storage capacity, your child will be able to store a ton of data without worry. For kids learning how to type, you can connect a wireless keyboard to the device through Bluetooth. This will also help with any homework or research needs for older kids. Option to buy a cellular network enabled edition. Doesn’t come with a protective carrying case. If your family uses Android phones, it may be a good idea to consider also getting an Android tablet. If you’re like me, your kids probably already know how to use your phone. Sticking with the same system will make the transition to a tablet much easier. Designed specifically for kids, this tablet comes with a bright carrying case and a host of controls to ensure parents are in control of tablet time. You can set a time limit for use, monitor their progress on the dashboard, and set it up for access to certain apps only. While it’s able to access the internet, much of the content in this tablet is designed for educational purposes. There’s a host of STEM content for kids interested in math and science. It also includes a three-month subscription to Samsung kids — giving you even more games and books to choose from. Nine hours of battery time. Certified non-toxic carrying case included. Rear-facing camera that lets your kids take pictures. Small enough for younger kids to carry and use. No front-facing camera for video calls. As your children get older, they’ll want more from their tablets. For example, they might be interested in reading longer, and more, books. They’ll probably want to have access to music streaming and the ability to download movies and shows. This tablet offers more services to your child. It also stays budget-friendly for kids that may not yet know how to take care of expensive things. 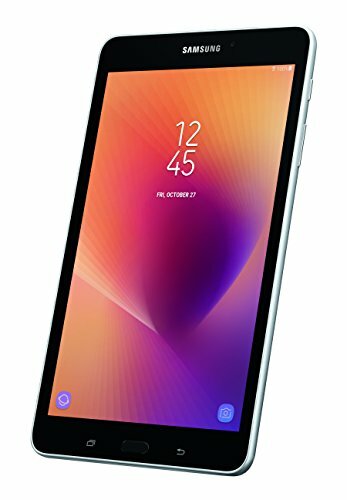 If you are an Amazon Prime member, this tablet is especially great for you. Prime membership gives your kids access to more free shows and books, which can be found through the app on the tablet. Aside from Amazon content, the tablet can also work with Netflix, HBO Go, and YouTube. It’s also compatible with social media applications, for kids that want to stay in touch with their friends. Using the Amazon browser, your kids can still access the internet for research or reading. 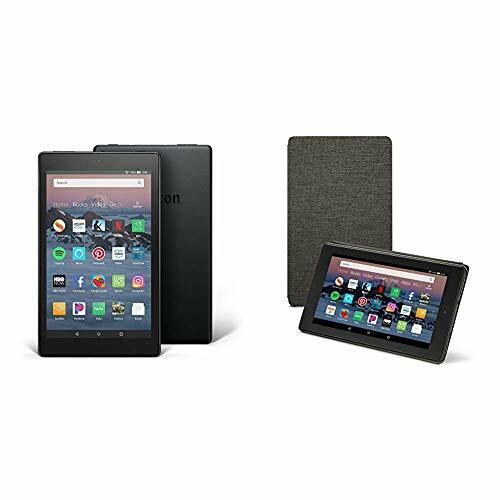 The tablet also works with Alexa, making the tablet hands-free and available for calling family and friends. For kids that love music, the tablet is manufactured with Dolby audio for high-quality sound. Choose between 16 and 32GB storage options. Multiple color options for the included standing case. Includes a camera for photos and video. Only has a 90-day limited warranty. Is your child a budding artist or engineer? If so, drawing tablets are a great way to encourage their passion. Drawing tablets can also be used to leave older children notes, help them make to-do lists, or as scratch paper for math homework. This LCD tablet has an 8.5-inch screen, making it super portable and easy for kids to handle. Because they use a pen to draw on the screen, you never have to worry about a mess. It also comes with two pens, in case you lose one. It’s powered by a replaceable battery, so you never have to find an available outlet. Once the kids are done using it, they hit the delete button and have a fresh screen to use. The magnetic strip on the back will let you store it on the refrigerator, to use for notes or just to keep it out of the chaos. Easy to use for a wide range of ages, including toddlers. The LCD screen has no glare. If you have a toddler, then you know they constantly surprise you with what they can do. Toddlers are often into music, object recognition, and games like puzzles and memory. Tablets can be a source of all those things and can help give you a moment’s rest during the crazy toddler years. 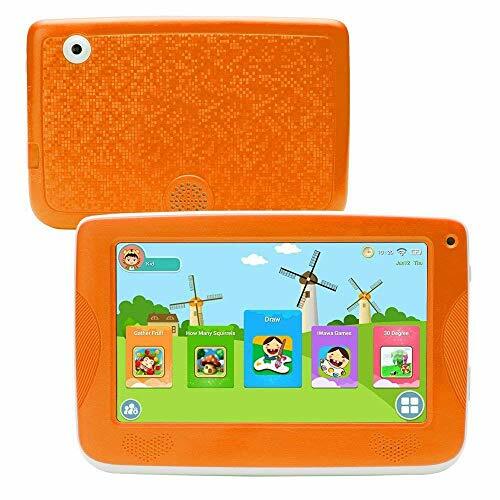 This tablet is designed for kids aged two to five years, and came on the market after the discontinuation of the VTech InnoTab max. It includes 12 learning activities that progressively get more difficult as knowledge develops. 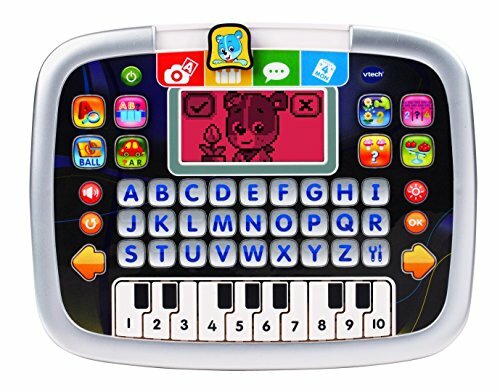 Your child can practice typing on the touchscreen letters, or even play piano on the keys. The apps offer lessons on counting, words, and letters. There’s even an activity about daily life logistics, like checking a calendar. The device is powered by AA batteries, which means it will always be mobile-ready for toddlers on the move. One of my child’s biggest frustrations surfaced when we had to keep the tablet plugged into the wall. Age appropriate lessons that won’t overwhelm. Volume control and automatic shut off to save battery. A limited number of applications, with no option of purchasing more. Autism manifests differently in every child — one may be passionate about music, while another loves art. However, many autistic kids learn better when information is presented visually (source). A tablet that’s able to provide nearly endless amounts of varied content can help autistic children develop their interests, and learn new skills at their own pace. Samsung products are, in my opinion, the most intuitive Android devices out there. For kids with more advanced autism, that’s an important feature. Parents can also choose whether they want a stylus or not. The benefit of going with an Android is the range of software available for installation and the opportunities for life skills learning. If your child likes numbers, you can download Microsoft Excel. If your child likes art, there are applications for drawing or photo editing as well. Most offices in the world still use Microsoft operating systems, which more closely resemble Android interfaces than Apple interfaces. Many kids with autism don’t like change — training them on a widely-used system like Android will help reduce challenges in the future. Comes with 16GB of storage. A lot of processing power for kids interested in games. Bluetooth connectivity for wireless headphones or speakers. Opportunities to wirelessly share content with other Samsung tablets. Not able to connect to cellular networks. Some tablets are designed solely for educational purposes. They’re essentially electronic activity books that work to help your child read, learn math, or speak new languages. Most of them forgo the movies and TV programming and stick to the basics of learning. This brand is well-known for its line of educational products. These toys are designed to introduce technology to kids in a way that’s fun and age-appropriate. 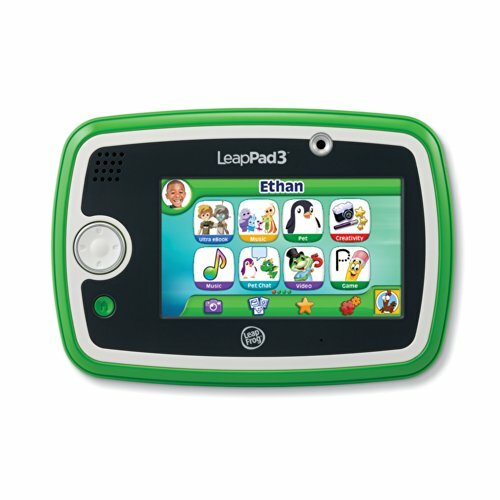 The LeapPad 3 is suitable for children ages three to nine years. It comes with access to the LeapFrog library, containing over 1000 games, books, and videos that increase your child’s problem-solving and creativity skills. With 4GB of memory, it’s able to store a decent number of apps since the tablet doesn’t have a camera for video or photos. If you have younger kids, you may want to introduce them to the internet without worrying about all the content out there. This tablet allows them limited access to pre-selected web pages designed for kids. They can practice the logistics of the web without wandering into spaces you don’t want them to be in. Comes surrounded by a built-in protective bumper. Password-protected, to ensure kids play only when you want them to. Monitors your child’s progress to keep them motivated and engaged. A bit smaller than most tablet screens, at 5 inches. Unable to connect to cellular networks. Tablets can be a significant financial investment, especially when you start to include subscriptions and app purchases. The more storage included, and the longer the battery life, the pricier the tablet. There are, however, a few budget-friendly options that can still give your child access to games that will help them learn and grow. 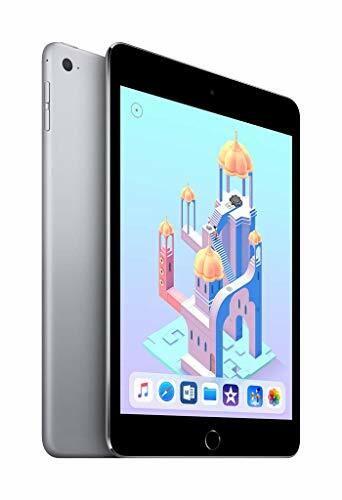 If you’re looking for something that can provide an educational space for your child, and won’t break the bank, this tablet is for you. It comes with more than 60 pre-installed games and apps. The tablet is made with a durable protective case that will keep even the most accident-prone children from breaking it. Parental controls allow you to limit game time, choose content, and set goals for children’s work. For younger kids that are just learning how to use tablets, this product can be a great introduction to early education games. It’s also Bluetooth-enabled, for kids that like to wear headphones or connect a mouse. Double speakers for better sound. Dual cameras for taking photos and video. High-resolution imagery will protect kids’ eyes. Only 3 hours of battery life. Once you’ve chosen a tablet, it’s time to pick which apps you want to download. If you’ve purchased a kids tablet, a lot of apps will come pre-installed. If you’re using a tablet designed for adults, however, you’ll need to download and perhaps purchase apps from the store. There are thousands of apps out there. So, how do you know which games or services to choose? Some of the choices will depend on the operating system of your device. However, there are a few broad themes that you may want to consider. Let’s face it — sometimes, we use the tablet as pure entertainment. Whether you have to get dinner on the table, or you need to make a work call, we all need to distract the little ones at some point. If that’s the case, you’ll probably want to download a few streaming apps for movies and television shows. When choosing programs or movies, you may want to choose subjects that are really different from the things they see in their everyday lives. Doing this can give you the opportunity to talk to them about what they’ve watched, and answer any questions they might have. No matter what tablet you go for, you’ll have your choice of kids games to choose from. There are games designed to teach your kid almost anything: math, reading, foreign languages, etc. This process might be more child-driven than you realize. Older kids may hear about games at school and ask if they can try them. Younger kids, however, may just want to try different ones, until they find one they like. Once you settle on a few, try them first yourself, so you can help them learn how to play. Kids love to show you what they can do, and it can be a fun activity to play together. Though we often think of visual entertainment when it comes to tablets, they can also be a great source of music. Most tablets designed for adults offer radio and music streaming apps. If your tablet has a Bluetooth option, you can connect it to speakers. Then you can make a playlist for the house to help make chores or other activities more fun. When used effectively, tablets can be a great way to expose your child to a host of new discoveries. Perhaps, you want to encourage your child’s interest in reading, art, or STEM. Younger children can learn to play simple games. Or maybe you want to help your child learn a second language — tablets can help you do all of those things. 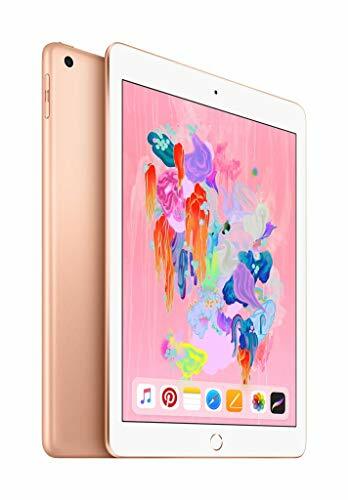 My favorite tablet has to be the Apple iPad. As the original tablet, it still leads the pack when it comes to available features and applications. Because it’s Bluetooth compatible, you can add keyboards, headphones, or a mouse, and adapt the tablet to your children’s lifestyle. Did you find our best tablets for kids review useful? Do you use a tablet with your kids? What are the limitations you put on it? Share your experiences and advice in the comments section below.